Ombre! The Softer side of it..
Well, this trend is not going down without a fight. It’s gorgeous. You can carry it through every season, lightening for spring/summer and richening for fall/winter. I am sure most of you have seen it, tried it, or wanted to try it in the past year. It can be scary. Some thoughts that may have come up: I don’t usually have my hair colored. I am not sure if my stylist can achieve the look. I am not sure about how it will look in general. No worries! Here’s the plan! 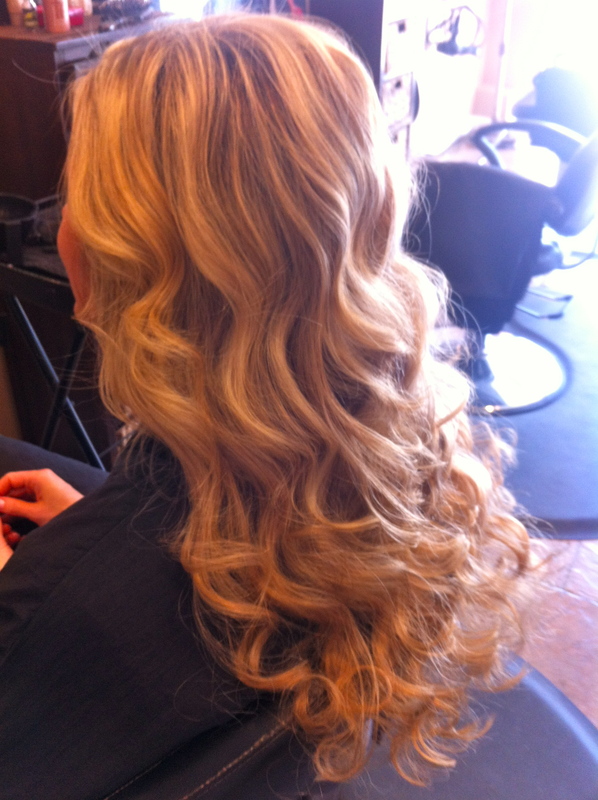 When going to meet with your stylist to discuss your venture into ombre, having a common dialogue is key. Bring pictures and be prepared to show what you like and don’t like. This will help you and your stylist achieve your perfect look. Also, ombre doesn’t have to be done in its’ truest form, (think Khloe Kardashian). There is a softer side to it. The softer side of Ombre is achieved through hair painting. The hair is painted with lightener from the mid to bottom lengths of the hair and a few pieces around the face. Usually this look is kept more subtle by glazing the hair to give a soft, tone on tone look. (Mila Kunis) Think chocolate brown with caramel swirls. Yumm!! Amanda Intoccia is a Hairstylist inside and out. A lover of all things hair, beauty, and fashion; a sister, daughter, wife, and friend she loves what she does and lives each day in the moment. You can learn more about Amanda here.